My interest in dog training began in the early 1990’s, when I purchased a Rottweiler puppy from a breeder in Pacific, Washington. Very quickly, this little puppy became an incredibly strong, 105 pound dog that had an intense natural instincts to protect its environment. I realized then that I needed to learn a lot about canine training and behavior pretty quickly. I proceeded to take seminars and do course work in dog behavior and training to resolve some of the issues that I was having with my own dog. Several of the trainers that I went to suggested that I get a different breed of dog because Rottweilers were “hard to train” and had “many behavior issues”. One trainer in particular told me that my dog wasn’t very trainable and I should consider getting rid of my dog. I attended many courses on training for trainers in food-treat oriented methods but found that the results using those methods were quite variable. My interest, and increasing knowledge about dogs, lead me to spend two years working with shelter dogs in the “behavior and socialization program” for the King County Humane Society. Ultimately, observing the inconsistent results of strictly food-based training, I sought out Master Trainers who could prove consistent results with a high variety of dogs and circumstances. After training with several different trainers, I was accepted into the instructor-training program at Canyon Crest K-9 Training Center in Tacoma Washington and trained under the direct supervision of Ron Pace, a nationally recognized Master Trainer with over 25 years of experience. I achieved certification from Ron Pace and began Seattle Family Dog Training soon after. Since then, I’ve enjoyed helping people become more confident, knowledgeable handlers of their own dogs and my greatest reward is seeing people enjoy living with their dog again. One of the most surprising things to me, as I first started training, was how much people alter their lives and routines when their dog exhibits inappropriate behavior. As I received more and more feedback from clients, it became very apparent to me that people experienced a lot of daily stress when trying to cope with their dog’s behavior. Even basic problems like: jumping, licking, not listening, over exuberant sniffing of guests, and mouthing their owners and other people often frustrate owners if they have no idea how to solve the problem. More severe problems like barking and growling, even biting, lead people to live more and more secluded lives; they never socialize while they’re out for a walk in their neighborhood with their dog fearing an embarrassing situation if the dog decides to show aggression. Some clients have even told us that they got to the point of never having guests over fearing the inevitable aggressive or unruly behavior of their dog when guests arrive. My mission with Seattle Family Dog training is to teach dog owners enough about dog behavior and training to change that sort of experience for them, and help them enjoy living with their dog again. After years of doing classes and private lessons with clients, I became frustrated with the limited number of people that I could help in my “in-person” lessons. I also realized that not everyone could afford to hire a trainer to come out to their house. I would often have initial conversations on the phone with prospective clients that would say, “Wow, you’re describing exactly what happens with our dog! It seems like you’ve seen us on our walks? 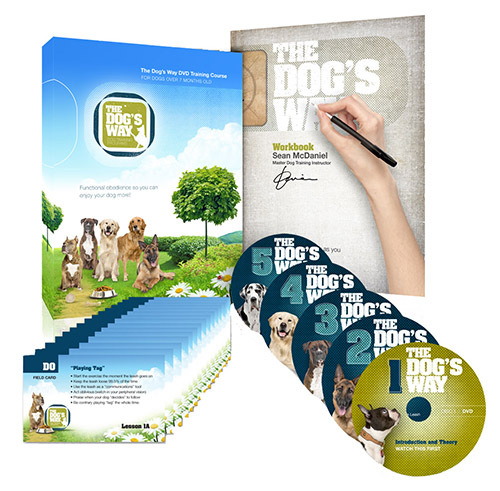 Your training sounds like exactly what we need… but we can’t afford to spend hundreds of dollars on training.” This is precisely why I created The Dog’s Way Video Training Course. I took six people through lessons and filmed all of it. I wanted to show different people and different types of dogs going through the “trial and error” of training their dog and give a viewer a sense of the real experience that they would have while training their dog. We also included extensive principle and theory lessons in the video course, so viewers understood exactly why they were doing what they were doing. Ultimately, the course resulted in over 10 hours of dog training instruction in 12 core lessons and a student access website with additional problem solving mini-lessons. 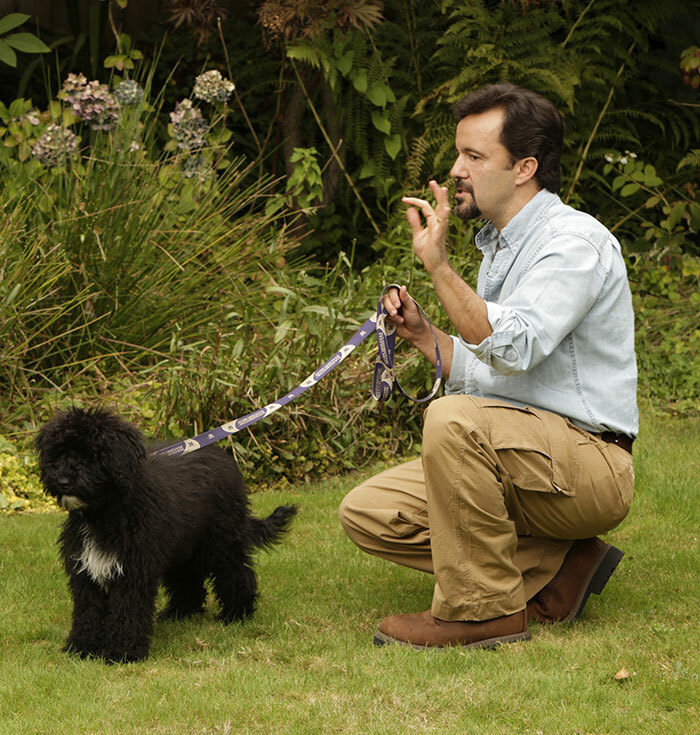 While I still work extensively with private clients (many of whom decide to get the video course as a reference tool) I’m excited that, through the video course, more people can now follow my step-by-step lessons that allows them to get back to enjoying their dog.